Hi everyone and welcome (back) to my blog! Firstly I will start this post with a confession; I have never seen any of Mindy Kaling’s shows, I have never read or watched any Mindy Kaling interviews so I went in to this book completely clueless about Mindy Kaling. You may think it is odd that I would then decide to read the autobiography of someone I knew nothing about, and you’re right it is odd. There was one main reason why I wanted to read this book and that reason was the title. I cannot be entirely sure why but something about the title grabbed my attention every time the book would appear on my recommended items list on amazon or when I saw it in a bookshop, perhaps it was because it was a long title or perhaps it was the relatability factor of the question, regardless of the reason the title made me want to read this book and so, I did. 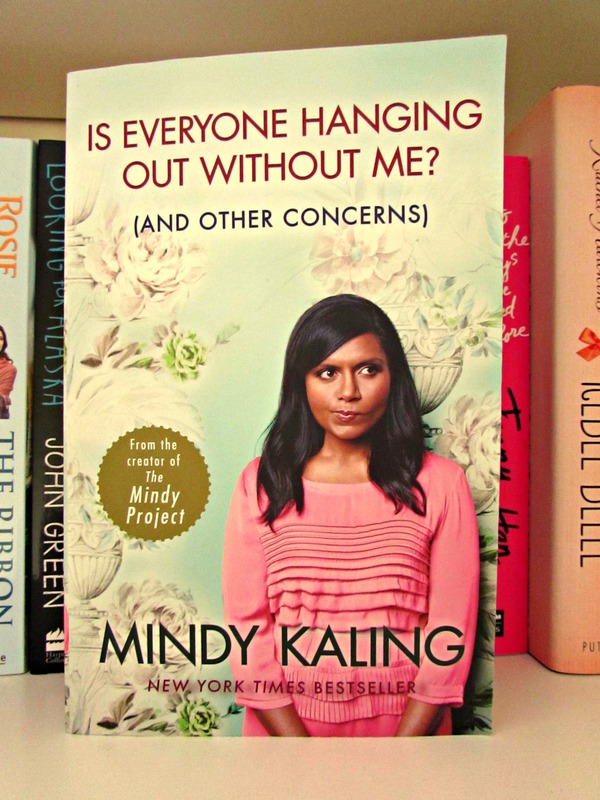 Some things that I have learned about Mindy from reading this book are; she is a television writer for comedy TV shows such as The Office and is also an actress, she loves shopping and she is funny, and I mean really funny. I’m talking about the kind of funny that had me walking down the street giggling out loud and looking like a total weirdo because I was listening to her on audiobook. I decided that because this is an autobiography I wanted to listen to the book (which is read by Mindy herself) as well as read along with the physical copy and I can say that this only enhanced my experience of the book. Listening to Mindy tell her own jokes and anecdotes made them funnier and having the physical copy allowed me to view the numerous pictures that are included. Through listening to the audiobook I can say that the writing style in the book is purely just the way Mindy would say it if you were to have a discussion with her which gives the tone a friendly feel, almost as if you’re having a chat with your close friend. The book reads like a collection of essays separated into sections, all with funny and intriguing titles such as ‘Hollywood: My good friend who is also a little embarrassing’. Within these sections are chapters, also with great titles such as ‘Revenge fantasies while jogging’ which details imaginary scenarios that Mindy likes to imagine while exercising. My favourite chapter in the book was ‘Best friend rights and responsibilities’ as it almost perfectly summed up the way I see my relationship with my best friends, also because it was very witty. Other topics that Mindy covers in the book are Karaoke Etiquette, why one night stands confuse her, and strict instructions for her funeral, in all of which she manages to inject her trademark humour. I would highly recommend this book to fans of Mindy and also those who, like me before reading this, know nothing about her but fancy reading something funny. I look forward to going on to watch some of the shows that Mindy works on and to reading her new book ‘Why Not Me?’ when it is released later this year. Despite having an ever growing collection of books in my “to be read” pile you’ve successfully managed to make me want to add this book to it (and made me feel really bad about mocking you for listening to it and reading it at the same time, sorry!!). Will I ever manage to read one of your reviews and not want to immediately rush out, buy the book and devour it in one sitting? probably not, but I look forward to your next review all the same. Thank you! Luckily this is a very short book so not too much damage haha!